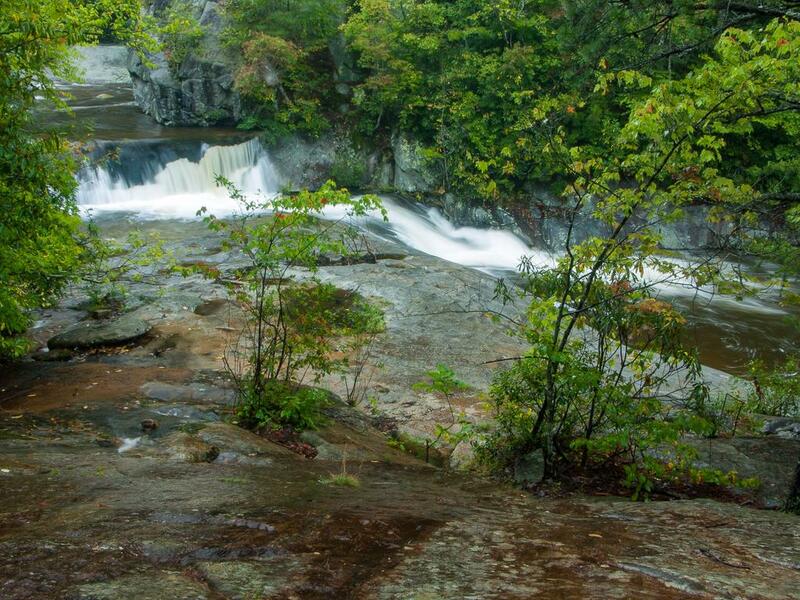 Normally, a fraction of the amount of water shown here flows over Hunt-Fish Falls. Unfortunately, it's not nearly as photogenic with this much water flow, but it is neat to watch. On a day with heavy rain like this one, should you be crazy like me and hike to the falls, then a much higher falls on a small tributary stream - right out of the picture on my left - will be almost as neat to look at.